On the D1 chart, the instrument grows along the upper border of Bollinger Bands, the uptrend is still relevant. MACD histogram is in the positive area keeping a signal for the opening of long positions. Stochastic is in the neutral zone, moving towards the border with the overbought zone; the oscillator lines are directed upwards. 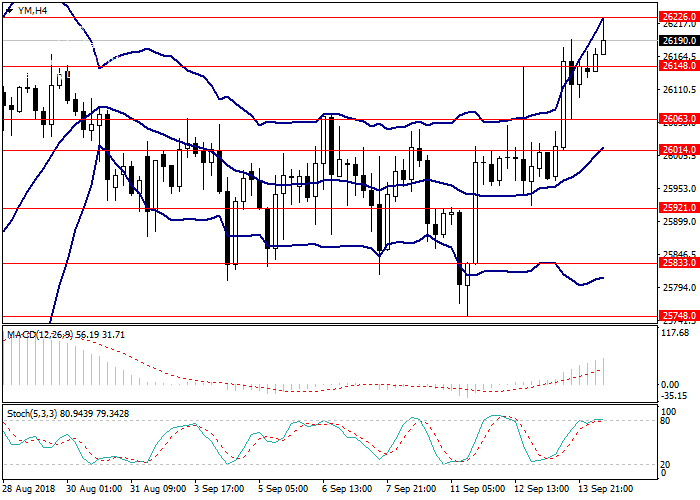 On H4 chart, the instrument is growing along the upper border of Bollinger Bands. MACD histogram is in the positive area, gradually gaining volumes. The signal line is crossing the body of the histogram from below giving a signal for opening long positions. Stochastic is near the overbought area, the signal lines are directed horizontally. Support levels: 26148.0, 26063.0, 26014.0, 25921.0, 25833.0, 25748.0. 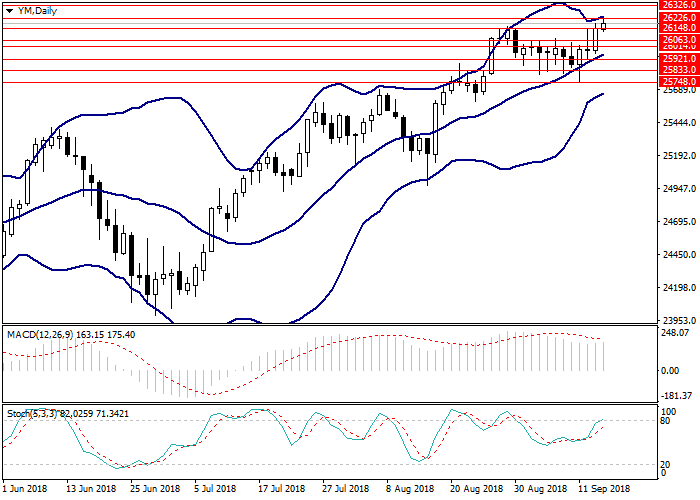 According to technical indicators, long positions could be opened from the current level with the target at 26326.0 and stop loss at 26148.0. Implementation time: 1-3 days. Short positions may be opened from the level of 26014.0 with the target at 25921.0 and stop-loss at 26063.0. Implementation time: 3-5 days.